Lead sports sessions for local children at schools and children’s homes and promote wellbeing through teaching the importance of health and fitness. Live in a family-run guest house in the beautiful Himalayan city of Pokhara where you will receive a warm Nepali welcome. 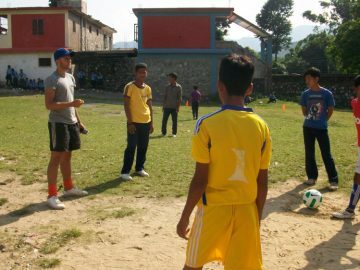 Volunteers can coach football, basketball, volleyball, cricket, rounders, netball or other sports. The children love to learn new sports and games so volunteers are welcome to coach any other sports they have an interest in. Volunteers are not required to have professional sports qualifications, just lots of enthusiasm and a passion for sport! 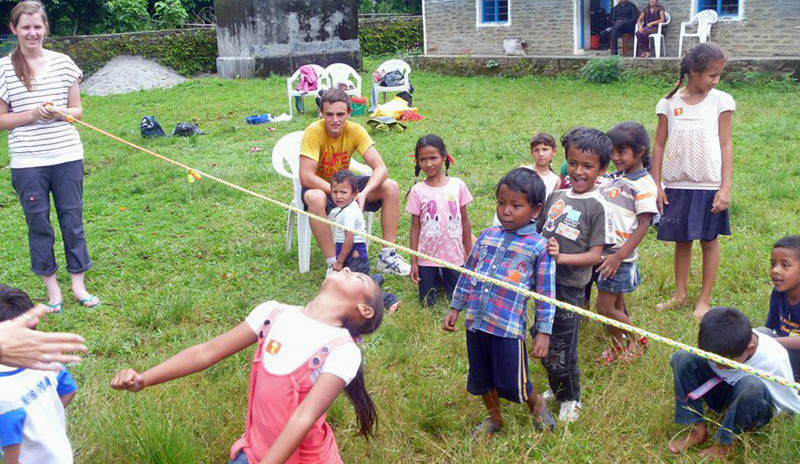 During your first week you will receive an introduction to the Nepali language. 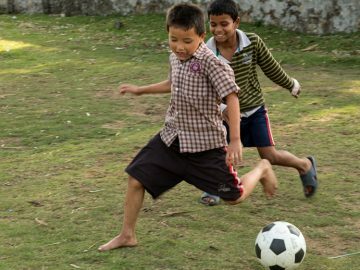 Since 2007, the team in Nepal have been supporting Child Care Centres, Schools, the Street Children’s Centre and Children Homes by providing volunteers and financial support through our Charity. 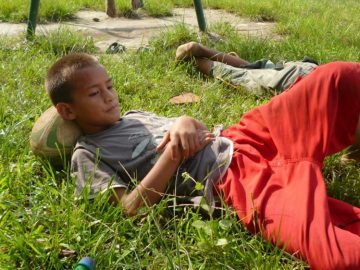 The children’s centres and schools are underfunded and understaffed so are not able to provide regular sports sessions for the children without the assistance of the team in Nepal. 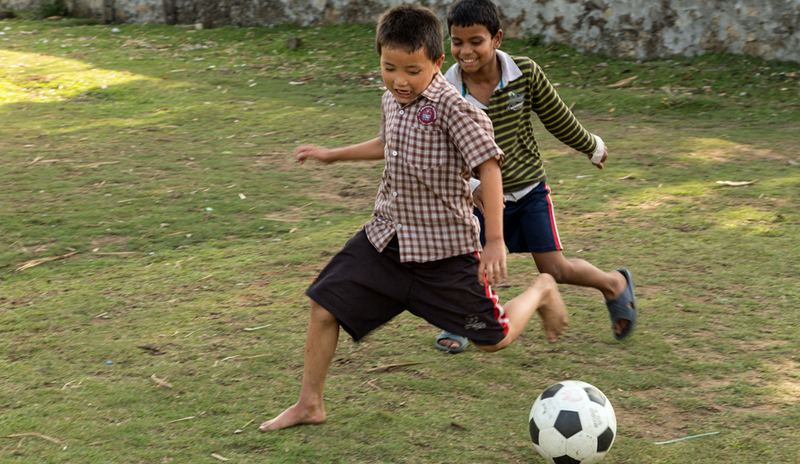 Teaching sport in Nepal has a wide range of benefits including improving the health, fitness and wellbeing of the children. Sport coaching helps to encourage teamwork and team spirit, improve concentration and increase the confidence of the children. 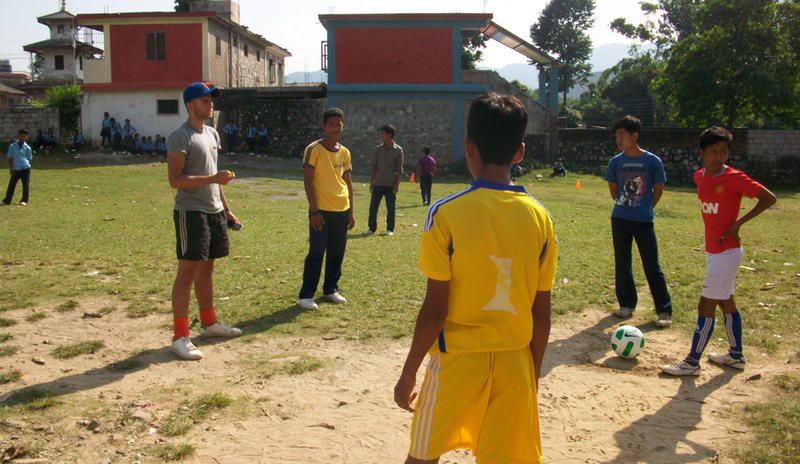 Sports coaching volunteers are needed as sport is not part of the normal curriculum in Nepal. Volunteers are vital in providing these expertise. Running sports sessions and delivering training to the students, teaches them the importance of health and fitness that will set them on the right track for the future. 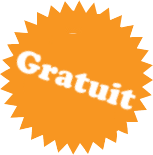 Volunteers are able to share their ideas and skills with the current teachers who can pass on their knowledge to pupils and other teachers. 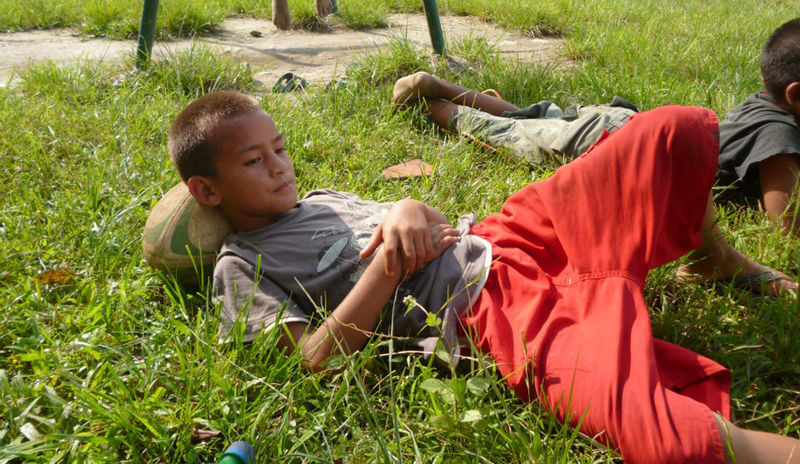 Volunteers stay in a family run guesthouse, which is located in a popular Lakeside area of the city. Volunteers will have their own bedroom and en suite bathroom. Accommodation is basic but clean and comfortable with electricity and running water - though these can all be unreliable in Nepal!